NAIROBI, Sep 4 2013 (IPS) - Zeinab Mohamed is a 70-year-old squatter in Kwale County, in Kenya’s Coast Province. Like many other Coast Province residents, for decades, Mohamed has lived in what squatters call “floating houses”. Her husband died a squatter, at 86 years of age. “For 40 years, we [tried to get] a title deed for this land. I am old, I could die any day, and I worried that I would leave my children and grandchildren with no land,” Mohamed tells IPS. According to local NGO Kenya Lands Alliance, 68 percent of Kenyan’s 41.6 million people are squatters, with the Coast Province having the largest number of undocumented land owners. However, there are no comprehensive statistics about the number of people who do not own land. But in a few days, Mohamed’s tenancy in the “floating house” will come to an end. She is among thousands of Coast Province residents who will be issued with a land title deed by President Uhuru Kenyatta, giving them ownership of their land. Kenyatta started issuing title deeds on Aug. 30, in an ongoing exercise that will in this first phase benefit 60,000 households from Coast Province. Over the next five years, the Ministry of Lands intends to issue three million land title deeds across this East African nation, changing lives significantly. These title deeds can be used to secure loans and improve livelihoods. In Kwale County, where Mohamed lives, 14,381 title deeds will be issued to residents. But land ownership is a complex matter here as the area is rich in minerals. An existing titanium mining project is set to begin in the county this month. And in July, minerals explorer Cortec Corporation announced that they had found deposits of niobium, a ductile grey metal, estimated to be worth 62.4 billion dollars. The discovery of niobium in the Mrima Hills of Kwale County has made the area among the world’s top five rare earth deposits sites, entering a market that has been dominated by China. If minerals are discovered on the land of those yet to be issued with title deeds, they will not benefit from the discovery. 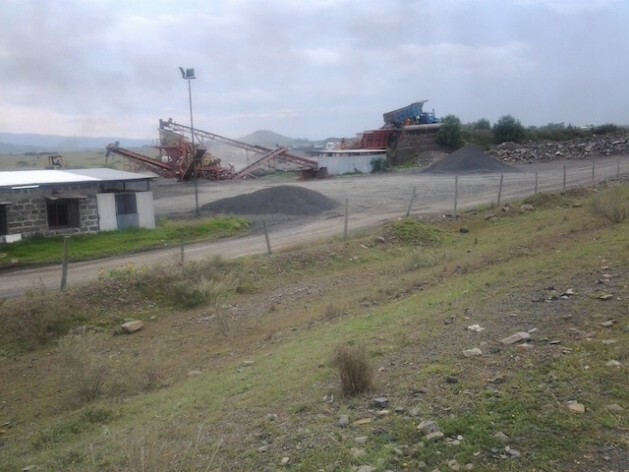 “Most residents have been missing out on compensation whenever minerals are discovered since they have no tangible documents to prove that they are the actual land owners,” Njuguna Mutonya, a land expert in the coastal region, tells IPS. “Since all private land that has minerals belongs to the government, [the] land has to be repossessed by the government. These new title deed holders stand to be compensated before they are moved elsewhere,” he says. But land experts like Mutonya say that the government’s drive to issue title deeds will improve the prospects of locals and they could benefit from the revenue generated from mining projects in their areas. But the exercise has sparked a bitter war of words between Kenyatta and his main political opponent Raila Odinga. The president’s family owns large tracts of land across the country, particularly in the Coast Province, Rift Valley and Central Kenya. This became a major political issue in the run up to the general election. Odinga has dismissed the exercise as politically motivated in order to win the loyalty of Coast Province residents who overwhelmingly shunned Kenyatta’s Jubilee Coalition in the run up to the Mar. 4 general election. But for squatters who have faced a series of evictions in various parts of the Coast Province, this is a new dawn. “Land ownership has been a persistent problem. The entire coastal region is owned by a few rich tycoons. If President Kenyatta is playing politics while improving our lives, let him,” Amina Juma, a squatter in Kilifi, Coast Province, tells IPS. Mutonya says that people do not believe that Kenyatta could solve the land issue, particularly at the coast. “The new turn of events has changed the political and socio-economic landscape of the coastal people. Land will gradually cease to become a campaign tool during general elections,” he says. Ikal Ang’elei, from the Friends of Lake Turkana, a community environmental association, concurs. “In addition to resolving the issue of privately owned land, the government needs to pass the Community Land Act to state clearly how this acquisition of mineral rich land is to take place while at the same time protecting the community,” she tells IPS. Ang’elei says that the government must also ensure that land and mining laws are consistent to ensure that private land owners are fully protected whenever there is a mineral find.